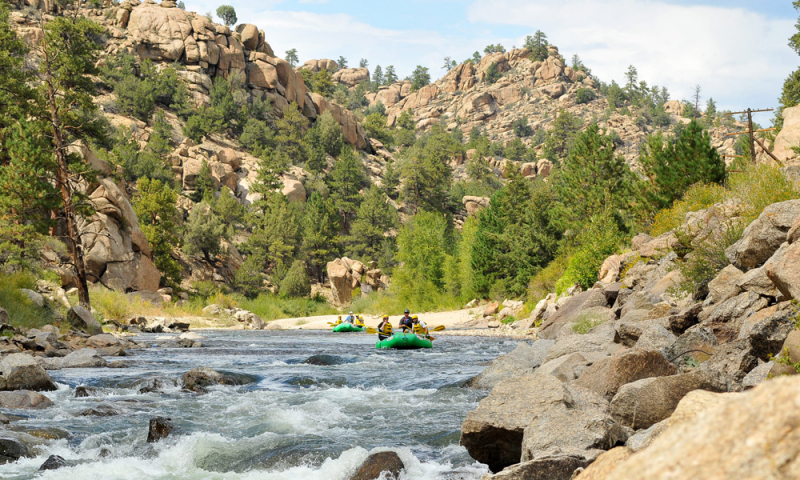 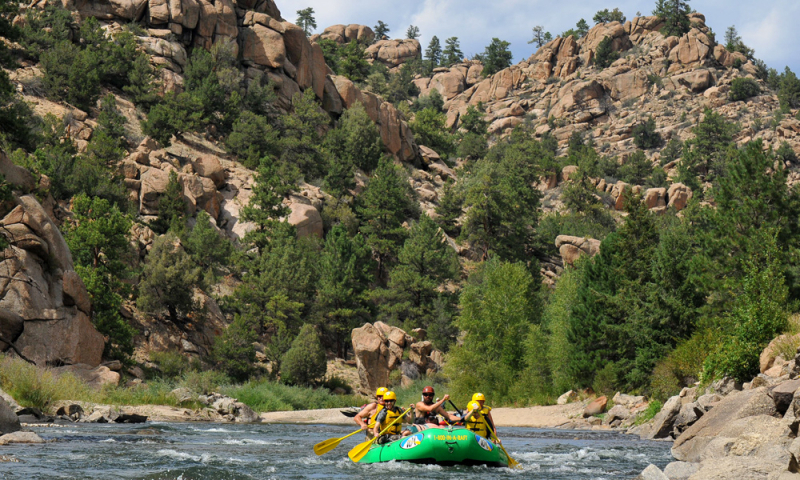 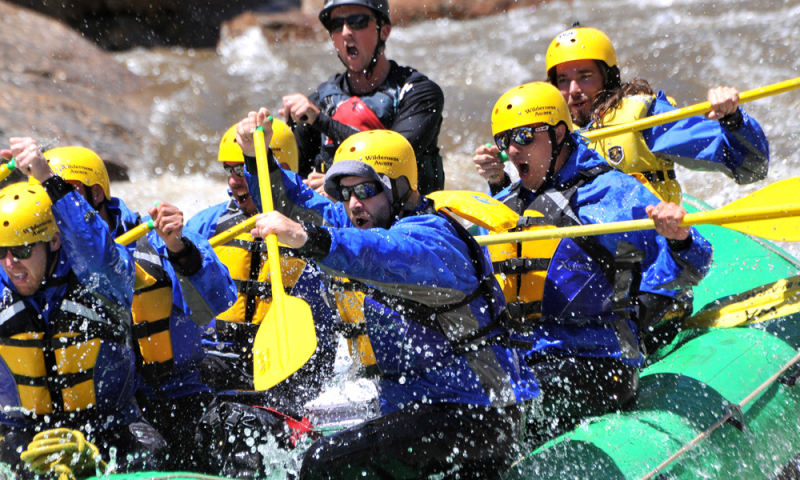 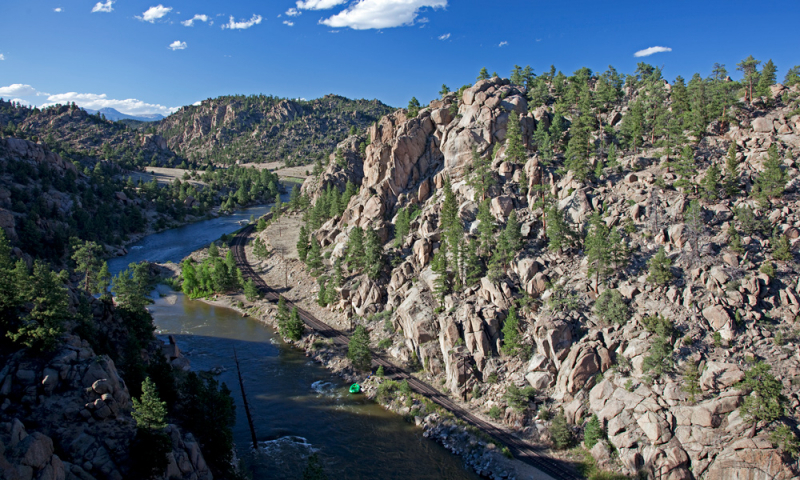 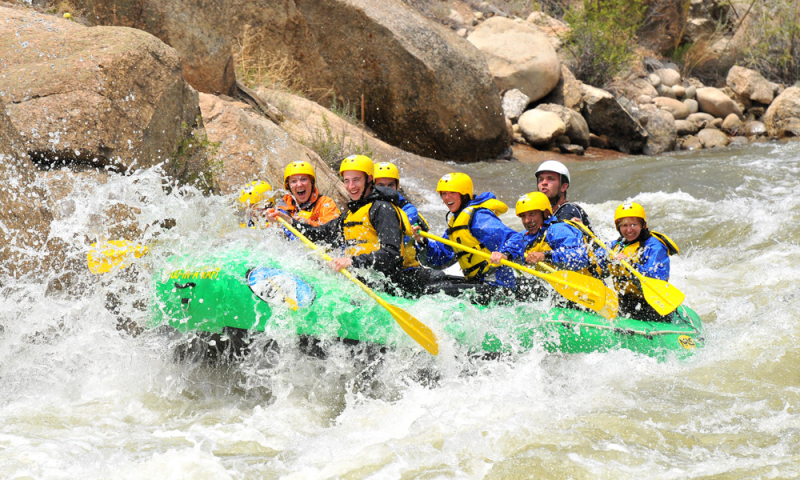 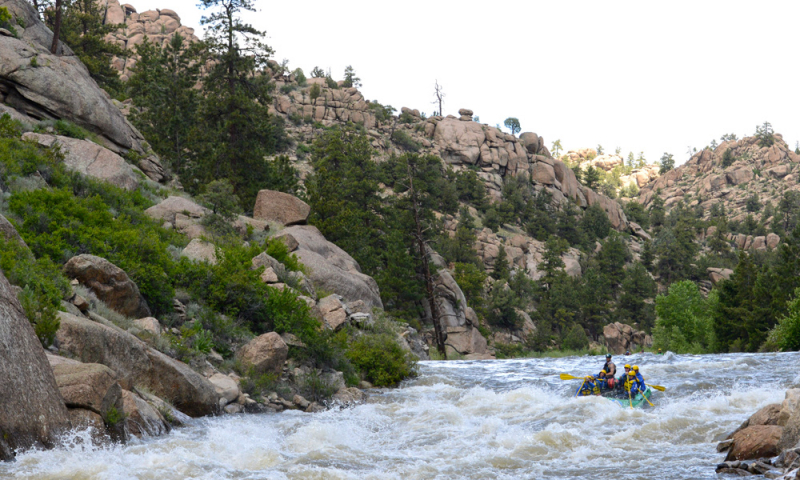 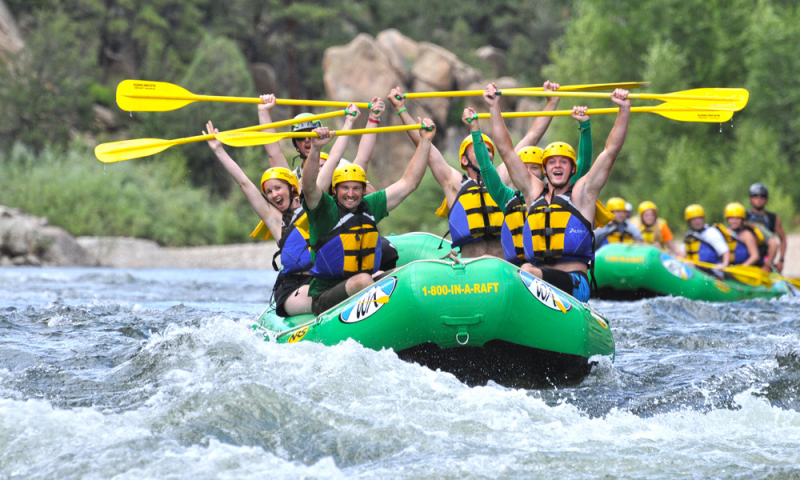 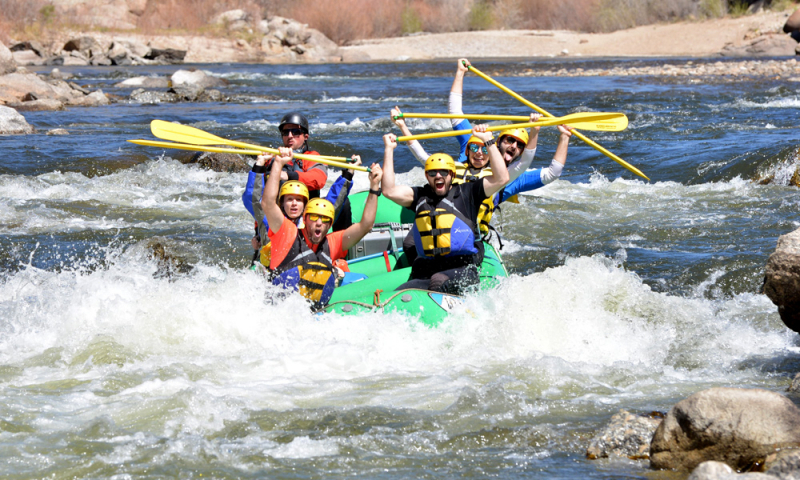 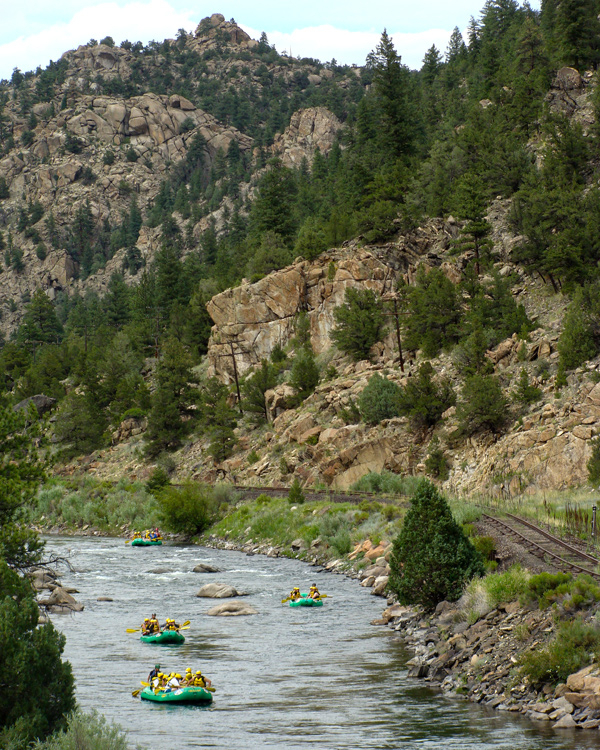 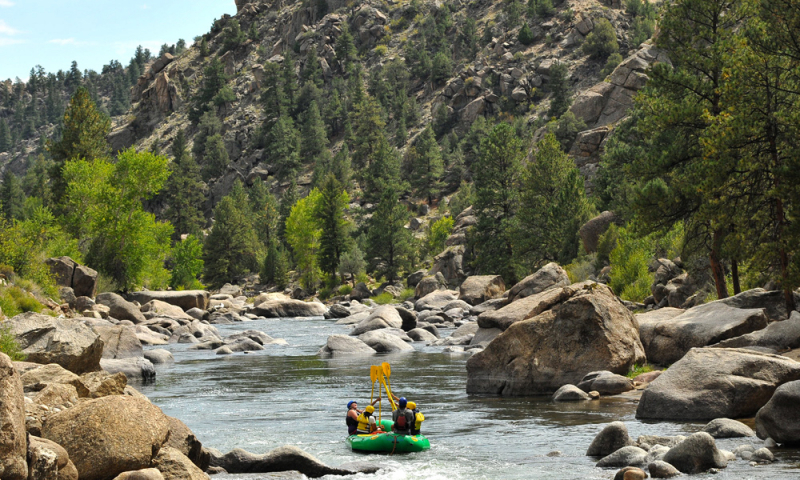 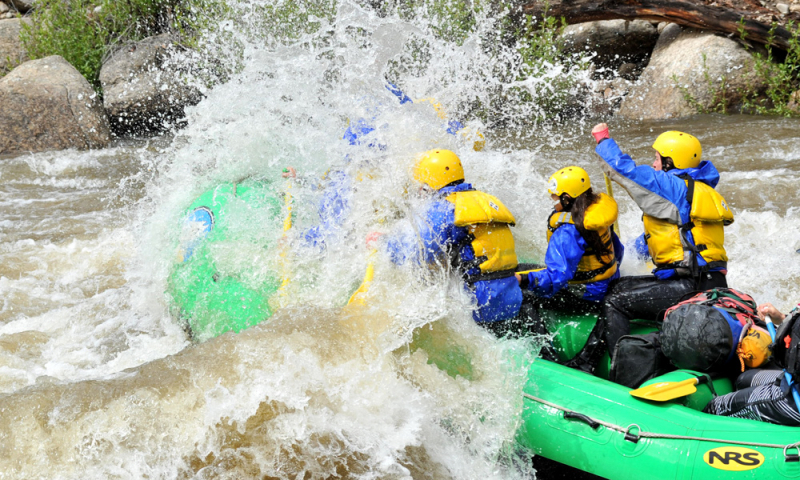 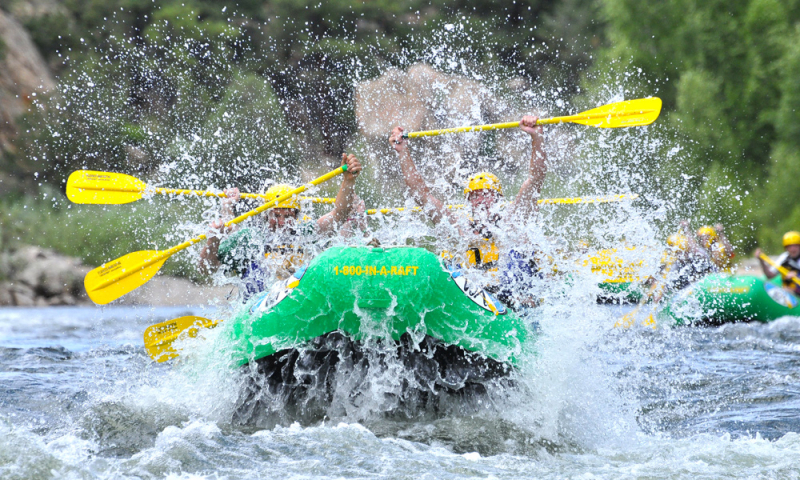 Browns Canyon is our most popular trip and the Arkansas River is America’s most popular whitewater rafting destination for good reason. 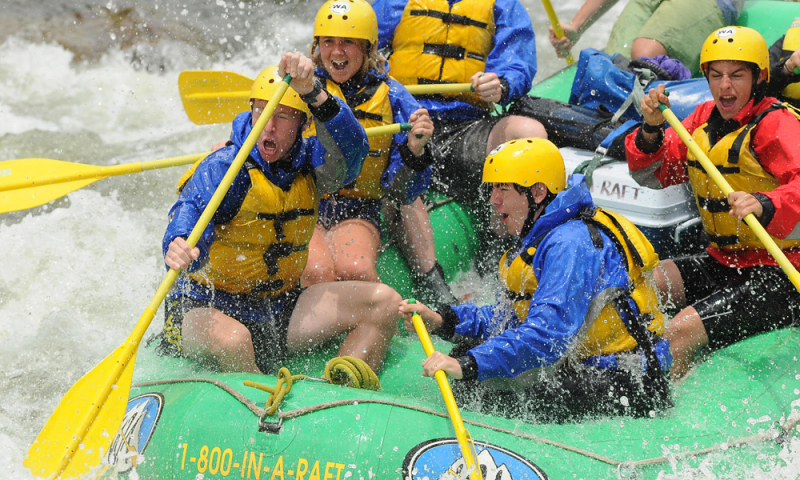 The character of this section is challenging to seasoned rafters, yet forgiving enough for first time rafters. 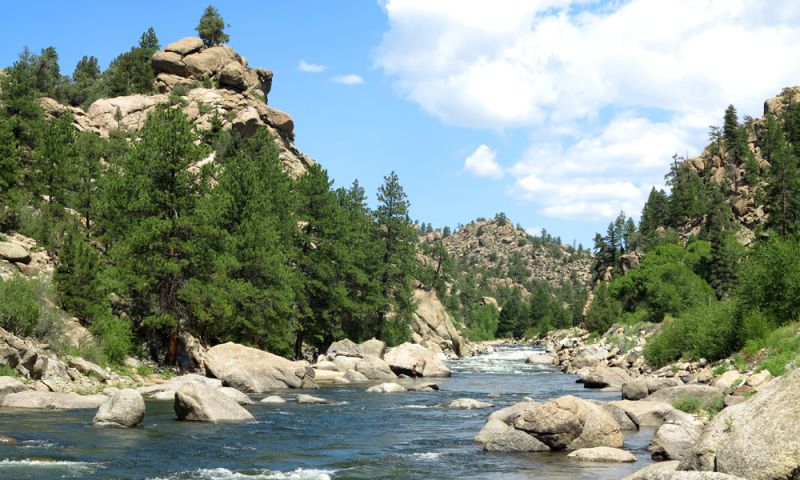 Most of the large rapids in Browns Canyon are followed by a calm pool of slow moving water allowing an opportunity to either catch a quick breath of fresh mountain air or take a picture of the unique granite rock formations set off against the clear blue Colorado sky. 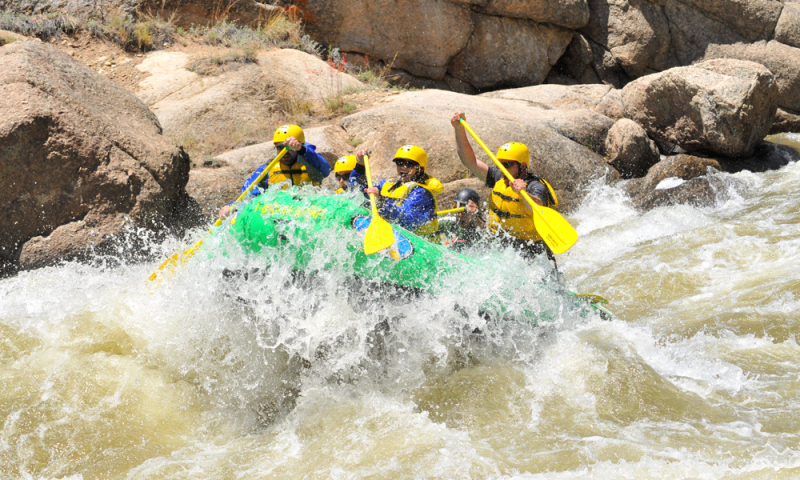 Browns Canyon of the Arkansas will demand your attention as you challenge rapids like Widow Maker, Zoom Flume, Seidel’s Suckhole or the vertical Silver Bullet. 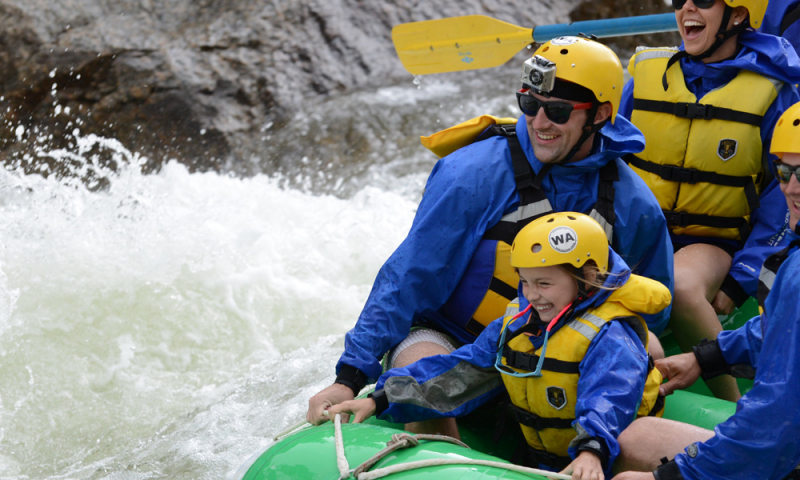 In June, when the river is swollen with snowmelt, prepare for a wet and wild ride with towering waves and powerful currents. 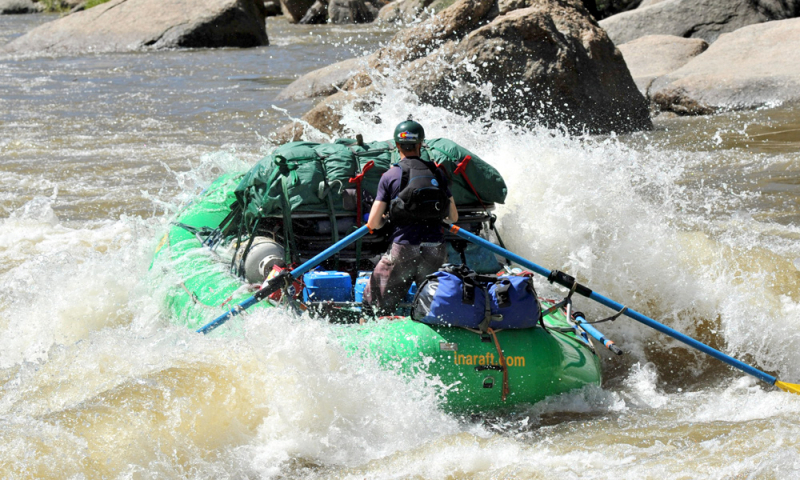 During late July and August, the river changes, requiring technical maneuvers around rocks and dropping through narrow chutes. 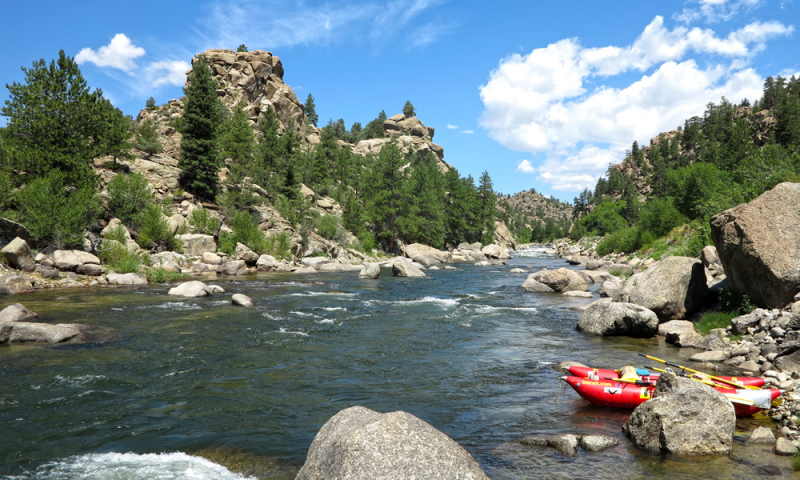 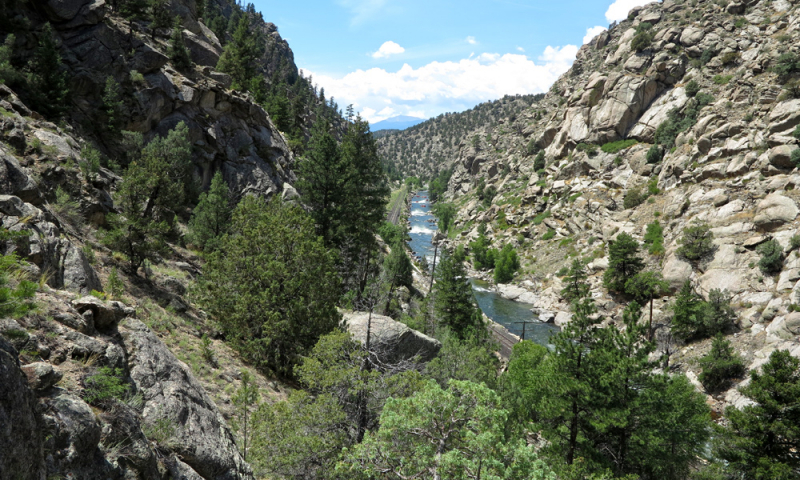 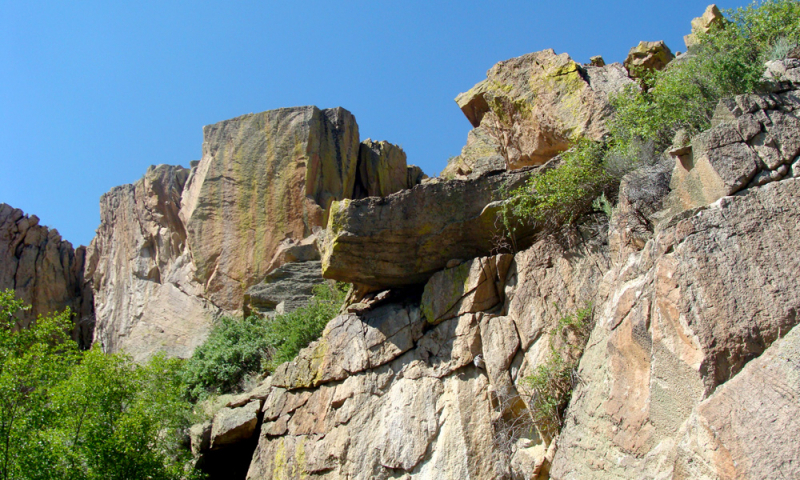 For those short of time or on a budget, a shorter portion of the canyon can be rafted on our Browns Canyon Half Day trip, which covers approximately ½ the mileage of Browns Canyon Full Day Trip and does not include a lunch. 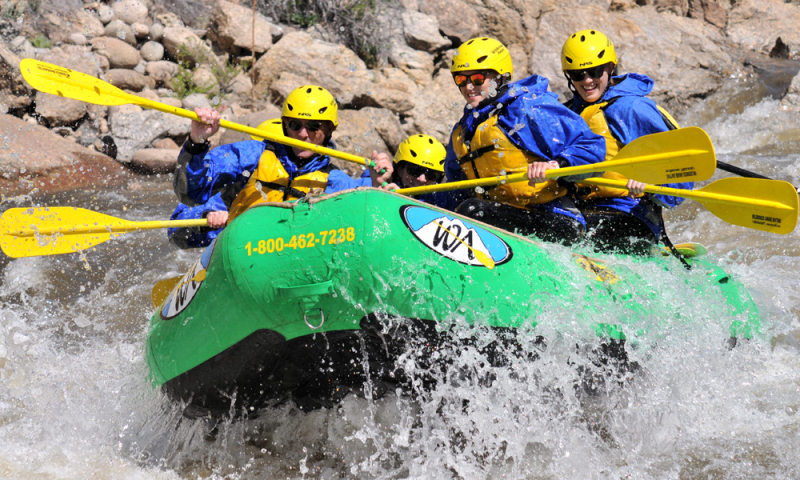 * Youth must be age 7 or older and weigh at least 50 lbs. 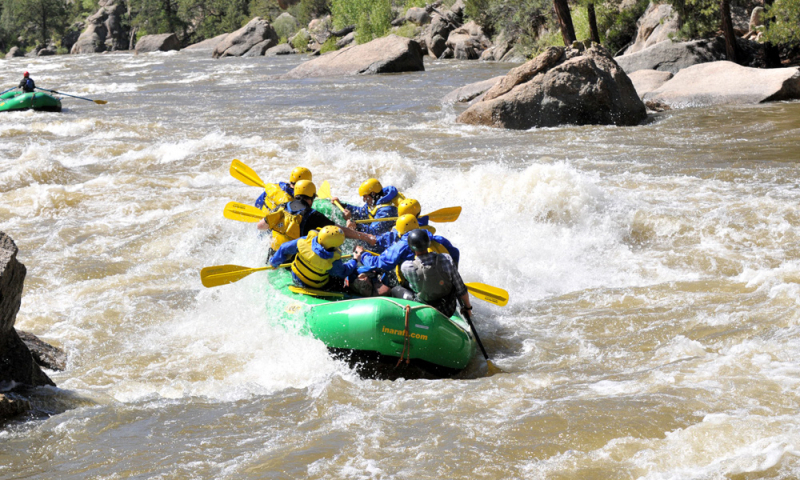 Minimum age and weight are subject to increase due to high water, typically late-May through June.